Swaddle Designs- Wearable Blankets! Review & Giveaway! $75 Value! Swaddle Designs is a company I’ve worked with several times since 2009. It’s a company I fell in love with immediately as the fabrics are all so luxuriously soft. When I had a chance to see, touch, and drool over all their products at the ABC Expo I was able to see that it’s not just some products that have this feel but all their products do! One of the very first items I received from them was their signature zzZipMe Sack! What’s a zzZipMe Sack you ask? It is the softest wearable baby blanket that you will ever feel. I knew that when Sawyer came that I’d want another so I could rotate between the two and when I saw the True Blue with Dark True Blue Satin zzZipMe Sack I knew it would be the perfect match. I also received the Swaddle Duo™ and they were so much nicer then expected- and bigger! Two Premium Fabric options in a wonderful gift box. Cotton Flannel for cool to moderate temperatures and Cotton Marquisette open weave for warmer climates. Generous large square multi-use blankets. 123 Swaddle Tip Tag sewn to each blanket so you can easily learn how to swaddle. I really liked both options and they are great for so many uses. They are especially great for new parents or people who will be watching baby for you because of it’s 123 tag inside reminding them how to properly swaddle. I can’t remember how many times I was showing people over and over again how to swaddle Gavin and something like this would have been great! I really love both these blankets and while Sawyer turned out not to be a fan of the whole swaddling thing they have still been great for wrapping his lower half or using them out as a blanket without all the bulk normal blankets have. I love that they have both a warm and cool option making this a great shower gift too! Make sure to check out Swaddle Designs! They have an amazing list of products that are sure to turn into your favorites! Also they have some great spring sales going on right now for up to 50% off as well as their Deal of the Day sales! Swaddle Designs has offered one Mom Spotted Reader a Swaddle Duo & a zzZipMe Sack Wearable Blanket! A $75 Value!!! 1.) Visit Swaddle Designs and tell me what other product you love of theirs! 4.) Blog about my giveaway- with a link back to here AND Swaddle Designs 4 entries (get two more if you include a photo of the giveaway). Win a Swaddle Duo & a zzZipMe Sack Wearable Blanket from @SwaddleDesigns & @MomSpotted #giveaway ends 5.14.12 http://wp.me/p18qpn-4XH $75 Value! 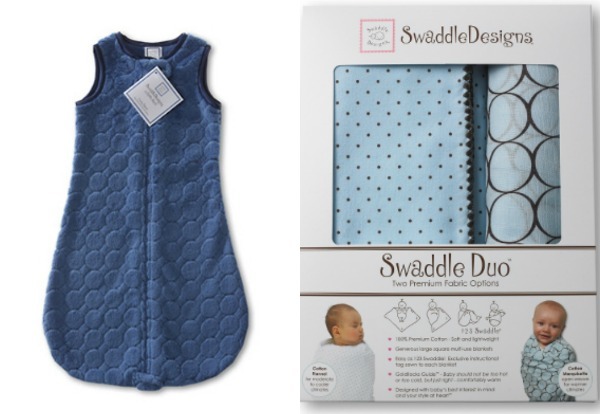 Win a Swaddle Duo & a zzZipMe Sack Wearable Blanket from @Swaddle Designs & @Mom Spotted Giveaway Ends 5.14.12 http://wp.me/p18qpn-4XH $75 Value! That’s many chances to win a Swaddle Duo & a zzZipMe Sack Wearable Blanket!!! Contest ends May 14th at 11:59pm! following you publicly via GFC – Addison K.A.T. 2. following you publicly via GFC – Addison K.A.T. I love the Jewel Tone Puff Circles and Jewel Tone Trim blankets!! OOPS! I commented the above two comments on the wrong blog giveaway!! Disregard those ones…. The zzZip Me Sacks look so cozy and cute!! I like the Jewel Tone Puff Circle Adult Swaddle. I love their hooded towels, they look so warm and cozy! I like swaddle designs and I told them what I loved! I love the SwaddleDesigns – Baby Lovie – Kiwi Satin with White Plush Dot! I like the angry birds collection! I like the adult swaddle wrap. I also like their SwaddleDesigns – Long Sleeve Bodysuit – Fresh Pastels. I like the baby Lovies! facebook fan of MS – Becky L.M. I like that they have an adult swaddle wrap. Ahh!! A cashmere baby blanket would be wonderful. Mom Spotted FB fan – Kimberlie S.T. I like the Newborn Gift Set 1. I like the Wearable Blanket zzZipme Sack. I like the Adult Swaddle Wrap! I like the Ultimate Receiving Blanket – Sterling Sparklers with Dark Gray Trim. I like the Organic Mod Circles Receiving Blanket in Kiwi Green with Mod Circles. I would love the angry birds swaddle! So fun! I like the Baby Lovie. I love the organic receiving blanket! I like the Marquisette Swaddling Blanket – Taupe Gray Sparklers on White! I like the Baby Lovie – Ivory with Kiwi Puff Circles and Lt Pure Green Satin. I like the SwaddleDesigns – Hooded Towel – Lime with Brown Mod Circles. Win a Swaddle Duo & a zzZipMe Sack Wearable Blanket from@SwaddleDesigns & @MomSpotted #giveaway ends 5.14.12 http://wp.me/p18qpn-4XH $75Value! I like Swaddle Designs on Facebook and left a message on their wall. 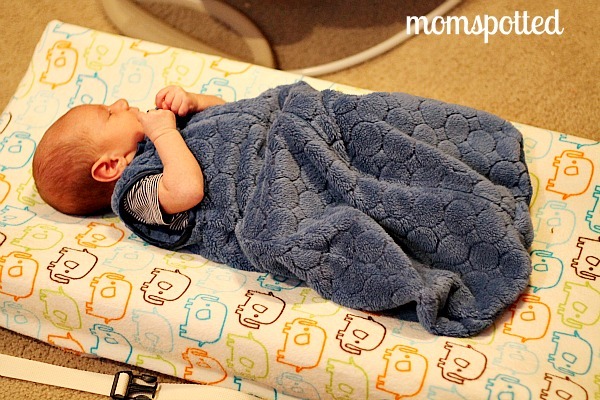 Win a Swaddle Duo&a zzZipMe Sack Wearable Blanket from @SwaddleDesigns & @MomSpotted #giveaway ends 5.14.12 http://wp.me/p18qpn-4XH $75 Value! Tweet: Win a Swaddle Duo & a zzZipMe Sack Wearable Blanket from @SwaddleDesigns & @MomSpotted #giveaway ends 5.14.12 http://wp.me/p18qpn-4XH $75 Value! The adult swaddle wrap looks fun! I follow Mom Spotted on Twitter and I tweeted. I love the adult snuggle wrap! That looks so comfy for relaxing and watching TV! I’m a GFC Follower #2! I love the Baby Burpies. I am a FB of Swaddle Designs and wrote on their wall. I love their Marquisette blankets! I especially love the new Chickies design. i also love the angry birds body suit! I am already a google + follower! I became a Google + Follower (Mary Honer)! I like the SwaddleDesigns – Adult Swaddle Wrap – Truffle Puff Circles with Dk Truffle Satin. 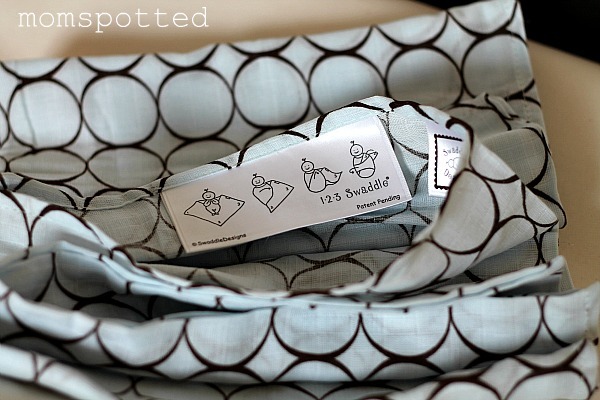 Win a Swaddle Duo & a zzZipMe Sack Wearable Blanket from@SwaddleDesigns &@MomSpotted #giveaway ends 5.14.12 http://wp.me/p18qpn-4XH $75 Value! The mod circles organic receiving blanket is nice too. I publicly follow your blog via Networked Blogs. Entry #2 for being a public follower. I already follow Swaddle Designs on Twitter. @longwait4bella is my username. I am a FB fan now. LaVonne C. Long is my FB name. Okay I am laughing, ANGRY BIRDS Baby! TOO oh so space age!!!! I want the angry birds gift bundle! SO fun. Love the Adult Swaddle Wrap. Very Berry is such a pretty color. I love their Baby Lovie security blankets, the Plush Dot one looks absolutely beautiful & very soft! I like their Hooded Towels also. I follow SwaddleDesigns on Twitter as @RavynLoony. I like Mom Spotted on FB. I like Swaddle Designs on FB. I like their Stiped Fish Hooded Towel. I love the striped fish hooded towel! I love the Jewel Tone Puff Circles zzZipMe Sack ! I follow SwaddleDesigns on twitter. Marquisette Swaddling Blanket – Striped Fish Pastel Blue. I like the organic receiving blanket. I like the Ultimate Receiving Blanket – SeaCrystal with Turquoise Owls and Trim. I like the SwaddleDesigns – Short Sleeve Bodysuit – Organic with Pastel Dots! I Like Mom Spotted on Facebook.